At the central part of Downtown Jebel Ali is primary needs for balance – among work and leisure, family and friends, familiar and new. This is why Downtown Jebel Ali offers such a wealty variety of urban space and experience. From intellectual high rises to roundabout walkways lined with townhouses, from urban plazas to neighborhood parks. Everything in Downtown Jebel Ali has been designed with people in mind. Creative design protects people from the excessive heat and let them to make full use of public spaces. A radical new transport network delivers efficiency and choice, permit people to walk in safety and comfort. Downtown Jebel Ali is maintaining and making the right choices today for the generations to come tomorrow. 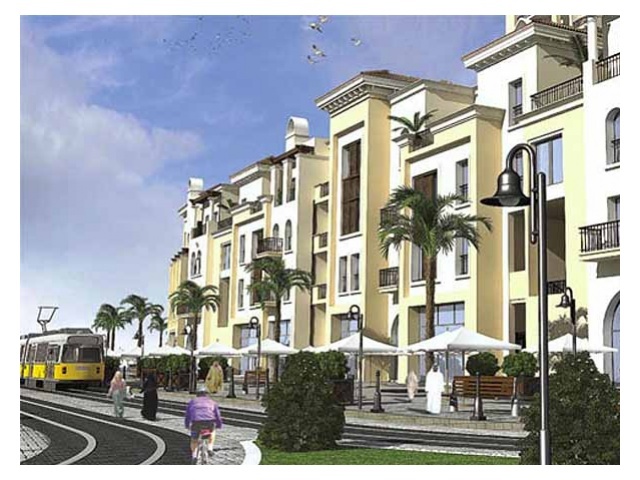 The Medina Districts will boom with echoes of remarkable desert cities while offering every contemporary amenity. In these mainly standard and low rise residential neighborhoods, small courtyards and plazas will be punctuated by cafes and local shops. Cars will be set aside basically to the perimeter, allowing indirect paved streets and walkways to create a more intimate, family-friendly environment. Compressed neighborhood parks will mark the entry to each Medina and provide yet another place for people to meet and socialize.